Eden Prairie, Minn. - Oct. 21, 2011 - Associated Bank, part of Associated Banc-Corp (NASDAQ: ASBC), announced today the company's plans for celebrating the grand opening of its new branch location at 566 Prairie Center Drive, Suite 100. 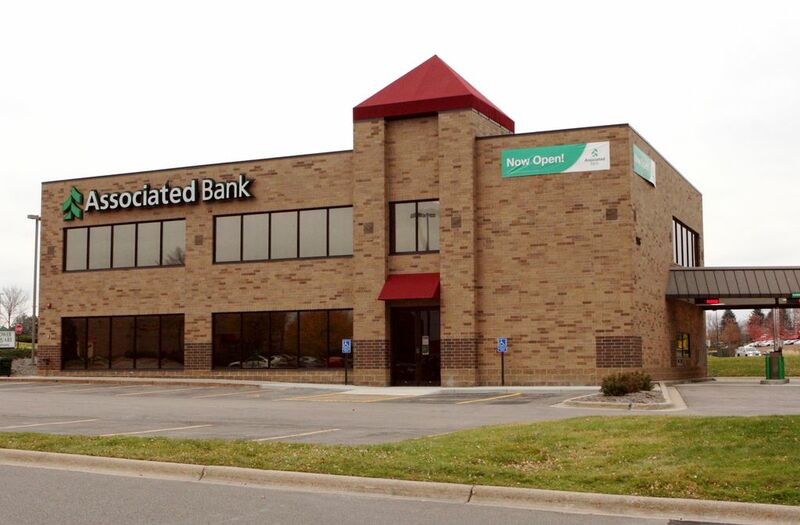 Located only 12 miles from downtown Minneapolis, the new branch is Associated's first opening in Eden Prairie and the 24th branch in Minnesota. The grand opening and ribbon cutting ceremony is scheduled for Friday, Oct. 28 at 10:00 a.m. Mayor Nancy Tyra-Lukens, fellow Eden Prairie community ambassadors and the Eden Prairie Chamber of Commerce will be in attendance. All are welcome to attend. "As a resident of Eden Prairie for the past 23 years I understand the opportunity this wonderful community provides and am extremely excited to expand the Associated Bank footprint into this great city," said Steve Steen, Regional Retail Director, Associated Bank. "Associated Bank has been looking for the right opportunity to enter this vibrant community and has found it through this new branch location - we look forward to a great partnership." During the grand opening ceremony, the branch will donate $1,000 to Prop, a nonprofit, multi-service organization serving children, families, and adults in the communities of Chanhassen and Eden Prairie. The location will feature Associated's new branch design elements and standards. It will also feature the added convenience of a drive-up ATM and a two-lane drive-thru. Grand opening specials will be available for new customers and existing customers of the bank. New customers who open a checking account at the Eden Prairie branch will receive a bonus as well as a free first order of Associated Bank logo checks. The promotion will run through Nov. 30. Please see the branch for more details about the bonus. From Oct. 17 through Nov. 30 the branch will host a "swipe and win" promotion. Anyone receiving a game piece inserted into local publications can bring the game piece into the new Eden Prairie location to be scanned by a bank representative, if the participant is a winner, the prize will be issued instantly. If the participant is not a winner, they can complete the card for a second chance drawing at the end of the promotion. Prizes include: an iPad, an eNook reader, MP3 players, and hundreds of instant win prizes. For more information, including a no purchase method of entry and Official Rules, visit the branch at 566 Prairie Center Dr. in Eden Prairie or call 952-255-7300.